Ah yes, the famous duo of Heidi and Jenna. They will show up a few times on this list (Heidi especially) but this moment at #71 is one that nearly everyone remembers. It was the time they referred to "beauty" as a Survivor handicap. Remember this scene? Of course you do. It was the moment that you first probably wanted to smack them. First Heidi, and then Jenna. Even though Jenna was the one who technically said it first. * Because Jenna was the one who flat out said that she and Heidi had to work twice as hard as everyone else because they were both so beautiful. 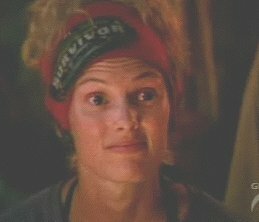 Jenna made this comment at Tribal Council, Heidi agreed, and millions of viewers collectively rolled their eyes in collective response. In fact, sitting at home in California... Chad Crittenden may have even opened his mouth in shocked horror when he first heard this. Why was Jenna's quote so offensive at the time? I mean, it wasn't that bad, was it? Saying that beauty is really a handicap? Well the main reason this quote was so inappropriate was because there was a real life handicapped person sitting right there in front of her! Christy Smith (who was deaf) heard Jenna's comment, and she did not appreciate Jenna's implicaion that "extreme beauty" was on the same page as "lack of hearing." 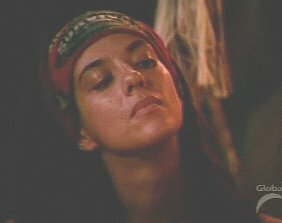 In fact Christy later came down on Jenna pretty hard during the final Tribal Council, and she did it specifically because of this quote. "Do you mean to tell me that being pretty is the same as being deaf? Are you honestly trying to say it's the exact same thing??" Needless to say, Christy was understandably a wee bit upset. To be fair, I do understand what Jenna was trying to say. And I understand that it just came off poorly. But man, Jenna and Heidi had so many "I didn't mean it like that!" quotes during Amazon that at a certain point you had to just stop excusing them. After a while it was like, do you really have any idea what's coming out of your mouth? 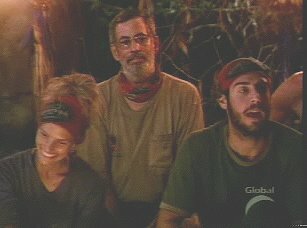 Do you really think you should be saying this in front of Christy? I mean, she's sitting right there in front of you! 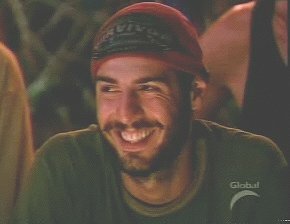 And you're talking about Survivor handicaps! Did Jenna just think that maybe Christy wasn't going to hear? It's a good thing all the fat women back at camp can't hear us making fun of them! "Jeff, I was lucky in this game that I'm not handsome. So I didn't have any handicaps like the girls found." The "beauty is our handicap" comment was the Heidi and Jenna moment that really pushed them over the top as "players you honestly wanted to smack." Because it wasn't enough that every female over 30 already hated them ("Older women have more fat, so they can work twice as hard as we can.") And it wasn't enough that all the viewers at home already hated them ("The deaf girl took my letter, that was so selfish of her!") No, after the eleventh episode of Survivor: The Amazon, now all people with actual disabilities also hated them too. 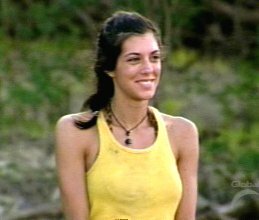 With the inclusion of the famous "handicap" line, Jenna and Heidi somehow pulled off the hard-to-achieve "hated Survivor player" trifecta. And it made for one of the more memorable subplots during Amazon. 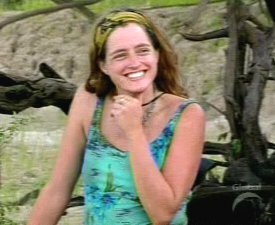 Oh... and to this day... Amazon remains the only season with a handicapped winner.